The sawyer first saws the log into four quarters. He then saws each quarter radiaty to obtain edge-grain boards. There are three basic ways to saw a log into boards: grade sawing (also called sawing around the log), live sawing (also called sawing through-and-through), and quartersawing. Grade sawing is the most common commercial sawing technique in America. When grade sawing a log, the sawyer saws from the best face of the log until he uncovers defects inside the log. As the sawyer finds imperfections, he rotates the log to a better face and continues to saw and rotate the log so that he is always sawing from the best face. Manv sawvers firmly believe that this method produces the maximum amount of high-grade lumber. (More on that subject in a bit.) Virtually all grade-sawn lumber is flat grain. Live sawing is more common in Europe than here. When live sawing a log, the sawyer saws from one face to near the center of the log, then he rotates the log 180° and saws the rest. The result is wide boards with a mixture of flat-grain and edge-grain lumber. In Europe, and increasingly in this country, lumber from a live-sawn log is left wanev (not edged) and is stacked together as a unit by reassembling the log with stickers between the boards. A live-sawn log kept as a unit is known as a bottle (rhymes with "pool"). Live sawing is usually the least labor-intensive sawing method. Quartersawing produces the maximum amount of edge-grain lumber from a log. 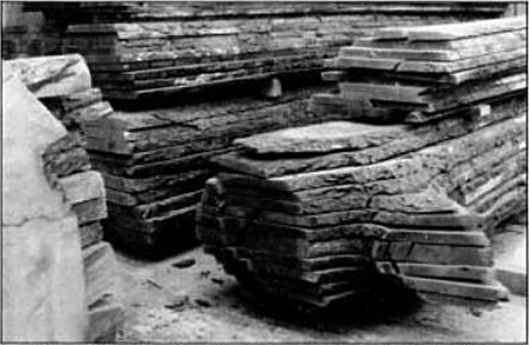 The term "quartersawn" is often used for any edge-grain lumber, even though several sawing techniques or variations can produce the same grain pattern. True quartersawing consists of sawing the log into four quarters and then radially sawing each quarter. While quartersawing produces edge-grain lumber from the entire log, it is the most labor-intensive sawing method and produces the fewest wide boards. 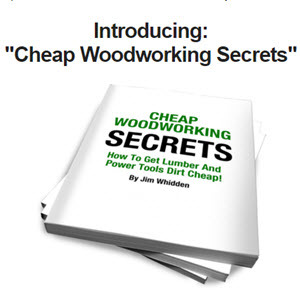 As I mentioned, many sawyers believe that grade sawing produces the most valuable (highest grade) lumber. If so, that would be an important consideration in choosing which of the three sawing methods to use. Studies published in Forest Products Journal show, however, that live sawing, not grade sawing, produces higher-value lumber. Nakashfcna workshops near New Hope, Pennsylvania. When it comes to sawing burls, crotches and stumps, you're on your own, because each log is unique. Some woodworkers will want to use* a burl or crotch for free-form tabletops; others will want small, thin boards for jewelry boxes; still others will want turning squares. Here, more than anywhere else, you need knowledge gained through experience. You need the ability to visualize a slab or board within a stump or burl. You need to know how wood grain twists and turns within a tree. As George Nakashima put it, "You have to know what you're doing ... and there's no way to find out except bv doing it." My personal preference lor general furniture making is live-sawn boules. When all of the wood in a project comes from the same log, it all has the same color tone and takes finishes in the same way. With a full variety of cuts, from flat grain to perfect 90° edge-grain, it's much easier to select grain patterns to suit a particular part of a project. Strongly vertical parts like legs or door stiles can have fairly straight, parallel grain, while broad and relatively short parts like door panels can have more figured grain. A boule is the only economical way a small shop can get wood with matching grain.